It seems Daniel’s ire over players wearing sunglasses has taken a backseat to his latest target UB –or more precisely the Cereus Poker Network of UB and Absolute Poker. Negreanu wrote a fairly pointed blog post about the site and their history of troubles; most notably the super-user scandals at both sites; most recently the security failing uncovered by Poker Table Ratings. Negreanu is always outspoken, and always looking to increase the integrity of the game, so I understand his post blasting the Cereus Network. In the post he states his misgivings of UB from the very beginning –at the time known as Ultimate Bet—because of the involvement of Russ Hamilton who has never had the best reputation in the poker world; if this was the actual reasons for Daniel’s misgivings about the site then his power of perception is even better than we realized. He also mentions an incident where UB misstated/lied to the World Poker Tour about the guaranteed prize-pool of their Aruba event, and the recent security problem –which he seems to be making a much bigger deal of than it really was. 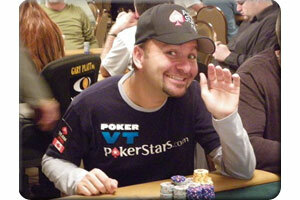 Negreanu was very critical of the site for not shutting down while they upgraded, and questioned why people would continue to be sponsored by such a site. He did praise Cereus COO Paul Leggett for his integrity, but did’nt like his handling of this latest incident. This entry was posted on Tuesday, May 25th, 2010 at 4:18 pm and is filed under Poker News. You can follow any responses to this entry through the RSS 2.0 feed. You can leave a response, or trackback from your own site.